Everyone agrees that it's necessary to reduce carbon emissions around the world. There is less agreement over exactly how nations should go about achieving a more carbon-free planet. Hence, the environmental equivalent of Elvis vs. the Beatles: cap-and-trade carbon emissions, or impose a carbon tax on all users? With cap-and-trade programs, governments limit the level of carbon that can be emitted by an industry. 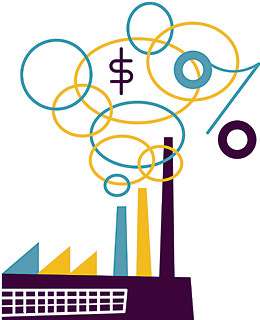 Companies that hold their emissions below the cap can sell their remaining allowance on a carbon market, while companies that exceed their limit must purchase credits on that market. Carbon taxes are more straightforward: a set tax rate is placed on the consumption of carbon in any formfossil-fuel electricity, gasolinewith the idea that raising the price will encourage industries and individuals to consume less. At the moment, cap-and-trade has the upper hand, since it serves as the backbone of the current Kyoto Protocol, and helped the U.S. reduce acid rain in the 1990sbut don't write off the tax just yet. Supporters of the tax argue that a cap-and-trade system, especially one that would be global enough to mitigate the 8 billion tons of carbon the world now emits, would be too difficult to administerand too easily gamed by industries looking to sidestep emissions caps. Cap-and-trade advocates counter that like all other flat taxes, a carbon levy would disproportionately burden lower-income families, who spend a greater percentage of their income on energy than rich households. So which system will have the largest impact on carbon consumption? A 10% flat carbon tax might reduce the demand for carbon about 5% or less, according to an analysis by the Carbon Tax Center, an environmental advocacy group. That may not be enough. Businesses and governments haven't figured out how the two competing regimes can work together, but in the end, the world may need both.